Organisations become JAM Card Friendly! Our JAM Card users say that the card and app gives them confidence in customer service situations, but many have commented that they would like to know businesses know what the JAM Card is before they use it. So we have developed JAM Card training and hope all businesses will train their staff and become JAM Card Friendly. 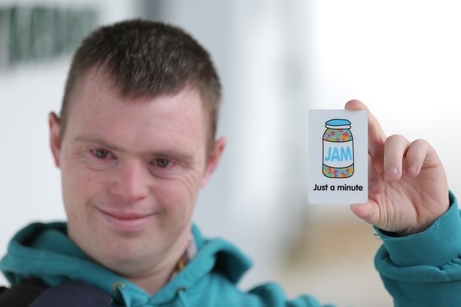 Online training is now available for businesses and when their staff complete it they will be provided with window stickers and till stickers to tell people they are a JAM Card Friendly organisation. If you would like to tell a business owner you know about the JAM Card training, ask them to visit www.jamcard.org.